45 years, 2 months, 8 days old age. 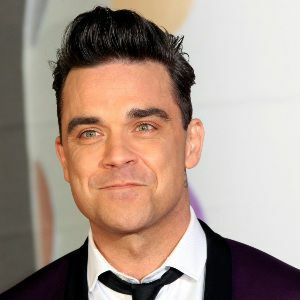 Robbie Williams will turn 46 on 13 February, 2020. Only 9 months, 22 days, 8 hours, 22 minutes has left for his next birthday. Robbie Williams has celebrated the total number of 45 birthdays till date. See the analysis by days count and bar graph. Robert Peter Williams popularly known as Robbie Williams was born on 13th February, 1974 in Staffordshire, England. He is an English Actor, Singer and Songwriter. Williams began his professional career in the year 1990 when he joined the famous pop group ‘Take That: For the Record’. He even played the lead in hits like ‘I Found Heaven’, ‘Everything changes’ and ‘Could It Be Magic’. He performed as a lead in almost ten songs for this band. He was also the youngest member of their team. He was associated with the band for almost 5 years from the year 1990 till 1995 before moving out and starting his solo career. In the year 1996, he launched his first single named ‘Freedom’ which became a major hit and reached No. 2 spot in UK charts. Soon he started preparing for the release of his debut album named ‘Life thru a Lens’ which was released in the year 1997. It was a huge hit and soon Williams released several singles such as ‘Angels’, ‘Millennium’ and ‘Old Before I Die’. Seeing the success of his singles, he soon released his next album ‘I’ve Been Expecting You’ in the year 1998. It gained the top spot in UK Album charts and sold almost 3 million copies in the UK itself. He was soon signed by the Capitol Records in the US and his career flourished. From 1996 till date, he has delivered various hit albums and earned a niche for himself in the industry. He reunited with the band he started his career with, in the year 2010 and released a highly successful album titled Progress. the reunion was however brief and he finally split a year after in 2011. He is arguably among the best selling British artist who has sold over 70 million copies in his illustrious career. Williams spends most of his time in Los Angeles although he has a huge mansion in the UK as well. He also has a strong belief and interest in UFO and paranormal activities. He was born to Peter and Janet Williams. He has a sister named Sally Williams. He is married to Turkish actress, Adya Field and together the couple is blessed with a son named Charlton Valentine Williams and a daughter named Theodora Rose Williams. He is the first British Artist who has won 18 Brit Awards. He has established a charity called Give It Sum. He holds a minority stake in Port Vale soccer club. He has also served as a national brand ambassador of UNICEF. He has claimed that he has seen UFO thrice.